Judy Coates Perez: Look Em, I'm making cables! I was so impressed with Emily Parson's fabulous black cable sweater a few months ago. I was determined to learn to make cables too. I started this with the leftovers from my last sweater (that I still have not done the finishing on) just to see if I could do it. What do you know, I had to make another yarn order from knitpicks so that I can keep going. 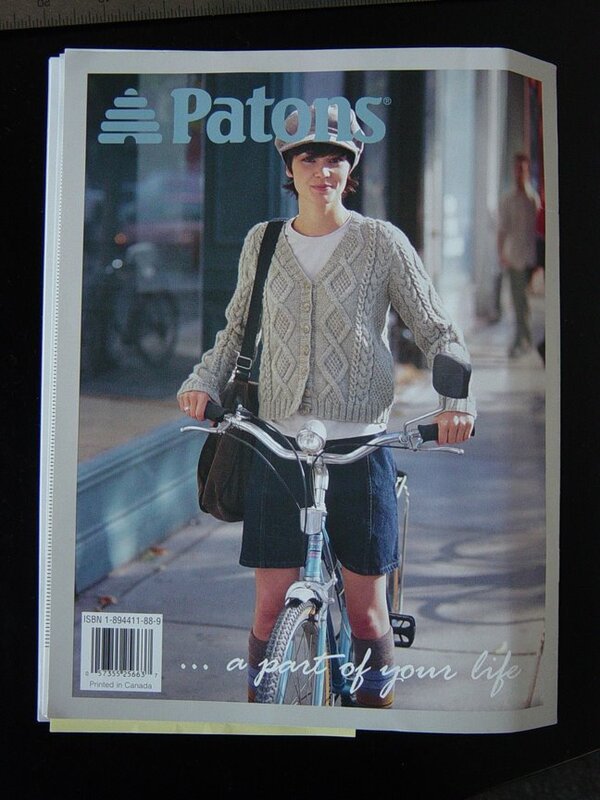 The pattern is the "Must Have Cardigan" from Patons. And I am knitting it out of Knitpick's Shine Worsted. I think this may take a while, this is thinking knitting. I also started another top in Freida green that is conversation knitting. (I'll post a pic of that one in a day or two) I have discovered that I like having a project going in each kind of knitting to suit my mood or situation. Look at you go girl! That sweater looks fabulous, really, you look like you've been doing cables for decades. I have always loved that Patons pattern. It will look great on you!